New growlers are available! Grab one from our online store! An extremely hoppy and complex hazy IPA with Mosaic, Citra, Galaxy, and Ekuanot hops. A fruity, funky sour conditioned on dank papaya and bold mandarin orange. A strong abbey-style Belgian ale dry-hopped with dank Enigma hops. Tart gose brewed with lemongrass, ginger, and hibiscus. A heavily dry-hopped, velvety smooth farmhouse-style DIPA with Cashmere, Vic Secret, and Mosaic hops. A generously dry-hopped triple IPA with Enigma, Citra and Mosaic hops. A strong, dark ale with bold flavors of dark chocolate and coffee. A malty, golden lager brewed with noble German hops. A spicy, crisp saison with light notes of lemongrass, citrus and papaya from Hallertau Blanc and Saaz hops. A slightly tart, crisp ale dry-hopped with lemondrop hops. Clean and refreshing. A complex, hoppy pale ale brewed with traditional Norweigan kveik yeast. Aromas of orange peel, pine, and white pepper meld with rich brown sugar and honey. For our full lineup of upcoming events, check out our Facebook page. Interested in getting involved with Väsen? Contact us about private events, live music or food trucks! Two 80 bbl foeders accompany our fermenters where our Belgian-meets-American style comes to fruition. Our four-vessel brewhouse stays busy during the week, but we give a peek behind our operations during weekend tours. Our quality control lab, barrel room and fermentation space allow for an inside look to the world of Väsen. We’re dedicated to brewing the best beer possible, with a lab inside the brewery to ensure quality and consistency. We like to experiment with local yeast strains and find flavors we never thought were possible. Keep an eye out in the taproom for exciting one-off beers with experimental concoctions. Staged in an old glass factory originally built in 1946, clear storied windows and tall ceilings lay the perfect aesthetic for life at Väsen. From our pilot system to our now 20 bbl brewhouse, the commitment to be an experimental brewery has always stayed the same. The Väsen Ambassador program was born from our own experiences with the great outdoors. Our team is passionate about being outside and staying active. Along the way, we’ve had the privilege of meeting some amazing people who have become our ambassadors. They educate, inspire, and participate in the type of outdoor activities that represent the spirit of Väsen. As we grow, we’re continuing to look for others who revel in competition while never missing an opportunity to give back to the sport that provides them with a true essence of themselves. Together, we’re building a stronger community through ambassador engagement. Click the “Learn More” button below to read about our ambassadors, their experiences, stories, and what brought them to the outdoor sports world. Väsen is on a mission to be one of the most sustainable breweries in the nation. As a purpose-driven brewery, we see it as our responsibility to propel the industry forward by using a holistic approach to sustainability. We created the Väsen Environmental Program as one step in this journey. Our legacy will be built on the sustainability practices enacted under this program for generations to come. In order to create change in the beer industry, Väsen starts at the local level. By working hand-in-hand with Virginia farmers and energy producers, we rely on a local and sustainable supply chain. Together we strive to achieve sustainable brewing with 100% reuse and recycling of the resources we use to make quality beer. It’s our goal to make thoughtful, data-driven decisions that make the environmental footprint of every aspect of our business (from beer to merchandise) as small as possible. We’re in this together. Please get in touch if you have any questions about our Environmental Program or want to chat about environmentally friendly brewing at your local brewery. Hail the Journey – to Sustainable Brewing! The Swedish word “väsen” honors our Scandinavian heritage and translates as one’s inner essence or way of being. 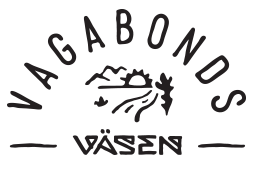 At Väsen Brewing Company, brewing is about creating and appreciating something greater than yourself. Our beer is a medium through which we express ourselves and our appreciation for our environment. We brew to inspire others to chase the things they love. Väsen beers combine the experimental spirit that defines American craft beer with the rustic and funky flavors of Belgian farmhouse and sour ales. We’ve developed a distinctive brewing process that produces balanced, sessionable beers that are perfect for long days outside. Our barrel-aging program let’s us flood Richmond with the funkiest of farmhouse ales, complemented by a variety of Saisons, wheat beers, and pale ales. 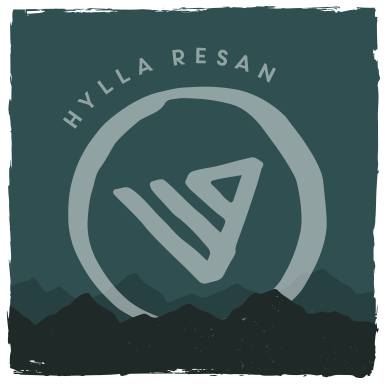 Our goal is to make unconventional ales and celebrate those who share an appreciation for the outdoors and spark positive change in their communities. At Väsen, we are strong believers in sponsoring events and organizations that allow us to show our love for the outdoors and support non-profits. Contact us at events@vasenbrewing.com to learn more.